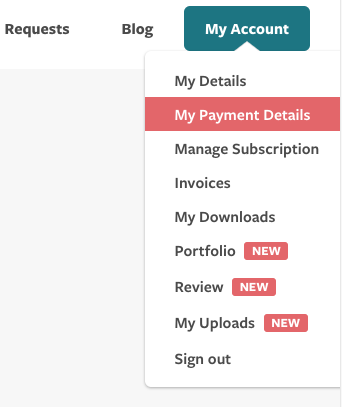 How Can I Change My Payment Details Or Subscription? And don't worry! We never store any of our members' credit cards details on site. Upgrading or downgrading your subscription is similar. Give it a few seconds (there are a lot of hamsters running around behind the scenes) and then it should all be done! You'll officially be registered with your new subscription plan.